Before I get to the subject of this post, I’d just like to say that the scrap campaign is really not about scrapping short-term tourist visas to Ghana, it’s about something deeper than that. It’s about whether or not Ghana’s political institutions are inclusive, whether civil society has a role in policy making. The answer, so far, is a big fat NO! The issue of tourist visas has been part of the national dialogue for years as evidenced by the National Tourism Marketing Strategy document. Currently, our Minister of Tourism has listened three times to arguments from the United Nations World Tourism Organization (UNWTO) since taking office at the beginning of 2013, in Zimbabwe, in London and most recently in Madrid. But the message, from the international tourism community and our internal Facebook campaign has fallen on deaf ears. Why? Because of an absolutist Ministry of Foreign Affairs that fails to dialogue with other government institutions and tourism business associations. Look at the Ministry of Tourism led year after year by patronage appointments. And what about the Ghana Hotels Association that gave an assurance that it would support, but has not! And the Tour Operators Union, which has discussed supporting the campaign at formal meeting, has failed to reach any decision. 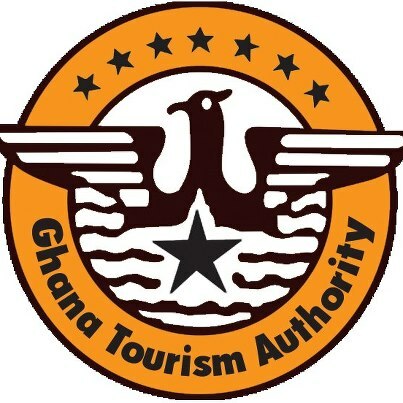 And to the subject of this post….earlier this week Ghana Tourism Authority gets new Executive Director . It’s Mr. Charles Osei Bonsu who formerly held the post of Director, Special Duties at the Ministry of Tourism, Culture and Creative Arts. As the article states, Mr Osei Bonsu is a veteran administrator at the ministries. He’s climbed many a staircase at the ministries and sat in years of meetings ….Over my fifteen years in the hospitality sector, I’ve met him a few times at events. Most recently, Mr Charles Osei Bonsu participated in the May, 2013 meeting at the Ministry of Tourism when I introduced the Facebook group Scrap Short Term Tourist Visas to Ghana campaign to tourism ministry officials. I was in the company of Mr. Herbert Acquaye, National President of the Ghana Hotels Association. Everybody was familiar with the issue of scrapping short term tourist visas. As stated above, it has been on the table in ministry circles for years. The conclusion of the meeting was the Ministry of Tourism would conduct research on the visa regulations of other African countries, the competition! Nothing came out of that meeting…nothing…no follow-up…nothing. Same ole, same ole…Congratulations to Mr. Osei Bonsu on his new appointment. I am sure he will fit in well back in his ole haunt, THE GHANA TOURISM AUTHORITY. SMH….Sure is hard to prompt a critical juncture!